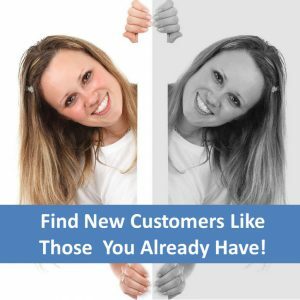 Social media marketing – all done for you! From your website, to social media, to e-marketing, there are many reasons why a professionally-planned Social Media marketing strategy can help you find more business. More businesses than ever are now taking to social media to promote their products and services. Facebook, Twitter, YouTube, Instagram and LinkedIn are the most popular platforms and can all be used creatively and cost-effectively to find, engage with and sell to your customers. Use videos, White Papers, Blogs and other downloadable resources to get your sales messages over. Our dedicated service will help you to use social media successfully. We’ll work with you to plan, design and implement your campaigns, doing everything for you. And remember, a single engagement with a potential customer who will buy from you is infinitely more valuable than a thousand followers who won’t! What are the ‘10 marketing trends that will dominate marketing in 2019‘? Go to the blog and scroll down to the story. Can’t wait to find out more? Click here for full info! Buyers do a huge amount of product research before they contact your sales office, so make sure they can find what they are looking for easily! Your website is there when you’re not, so it’s now more important than than ever before to keep it fresh, informative and current. A successful website must now put mobile first, be regularly updated, easy to navigate with internal page links and feature fresh news and content. From content writing and search engine optimisation to providing regular visitor reports from Google Analytics, we’ll work with you to make your website a highly effective source of leads. Just ask for more information. Your team at AdPlace Marketing will do all of this for you! To find out more, call 01246 431572 or click here to request a call-back! READ OUR BLOG: Pop across to our blog to find out how print advertising is on the up as an effective way to build your brand. Read ‘Print advertising or online. Nothing’s new” here. This website was recently created and written by AdPlace Marketing for singer Phoebe Lloyd. It showcases Phoebe’s work and features images and videos of Phoebe on stage and from her brilliant Smash Hits of the 80’s show. Don’t miss it! Click here to visit Phoebe’s new website. Find more business. 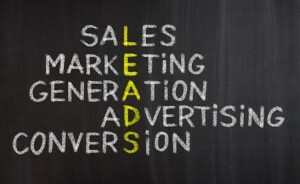 Try our new 3 Point Lead Generation Package that combines PR, Social Media and Lead generation for a single monthly fee. Please click here to find out more. Click to visit the Facebook Advertising page of the website.